ACC Babies consists of all children birth through 3 years old. This area is characterized by low teacher/child ratios, gentle play and a place where faith is introduced to infants through stories, music, simple songs and art. The Nursery is located in the Children's ministry section. You will need to sign them into the computer and then a name tag will print out for your child and another sticker that allows only you to pick up your child. ACC preschoolers consists of children 3 years old through 5 years old. This area is characterized by low teacher/child ratios, and active play where the Bible is taught through stories, songs with hand motions, and short memory verses. This room is located in the Children's ministry area. You will need to sign them into the computer and then a name tag will print out for your child and another sticker that allows only you to pick up your child. Orange First Look Preview: Pack A Picnic (April 2019) from Orange on Vimeo. ONE Washing Feet Jesus is a good friend. WEEK Palm Sunday We can praise Jesus. WEEK Easter God sent Jesus to be my friend forever. WEEK Breakfast with Jesus Jesus wants to be my friend forever. 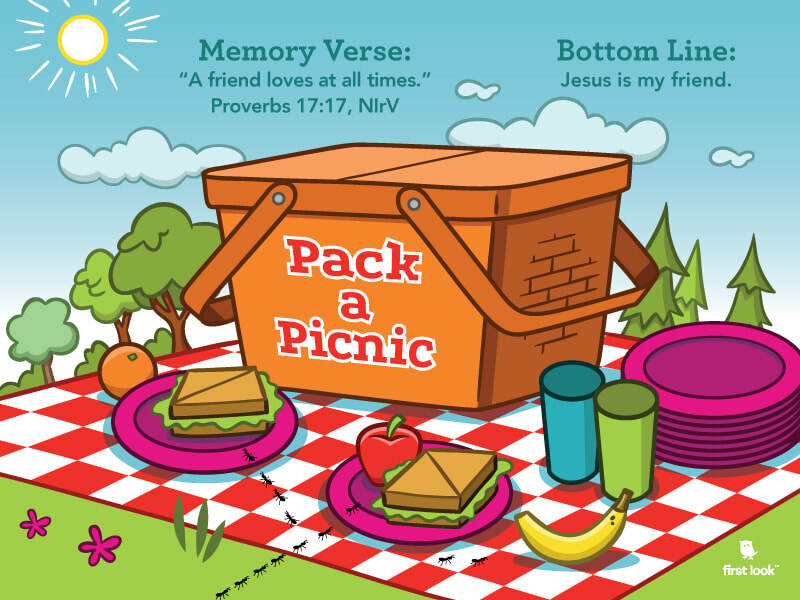 First Look Memory Verse Motions: Pack a Picnic (April 2019) from Orange on Vimeo.